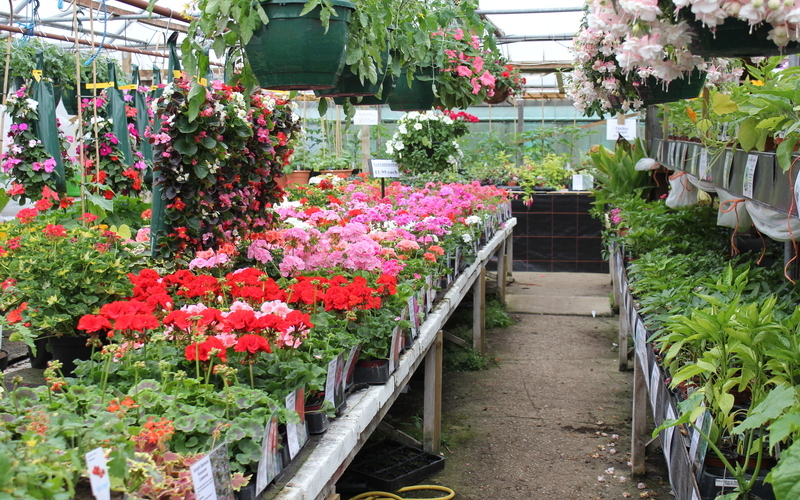 The majority of our shrubs, trees, perennials, fruit and vegetable plants, herbs and seasonal bedding plants are grown on the nursery. 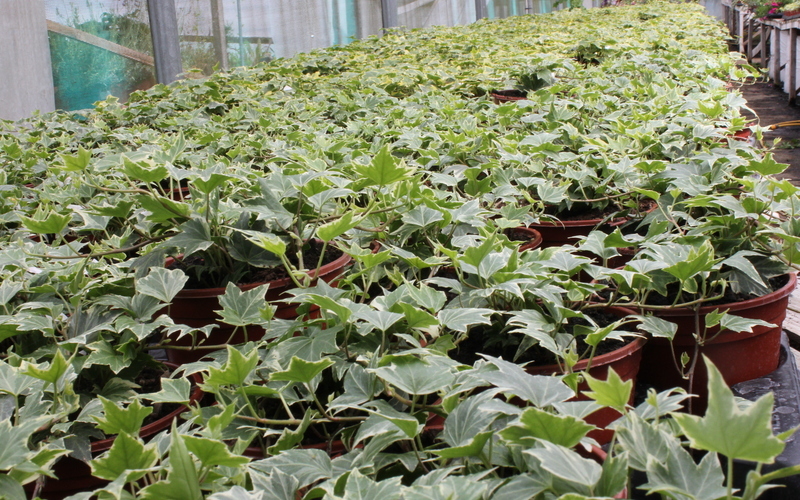 If not, plants are sourced through quality UK growers. 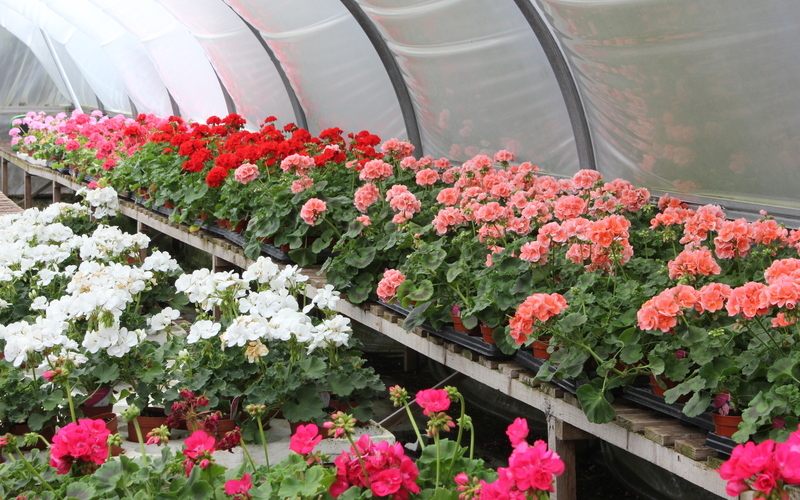 We pride ourselves in trying to produce the best quality plants for your garden, with a superb range of varieties both ornamental, fruit and vegetables. Our retail seeds are supplied by the old establised company Suttons, the range we stock is aimed at the vegetable gardener both large and small. Also, seed potatoes in season and autumn/spring bulbs, onion sets, shallots and garlic come from Taylors Bulbs of Holbeach. Peter produces a comprehensive range of vegetable plants, over 150 varieties, plus 70+ varieties of tomato, cues, peppers (sweet and chilli), marrow, courgette and squash. 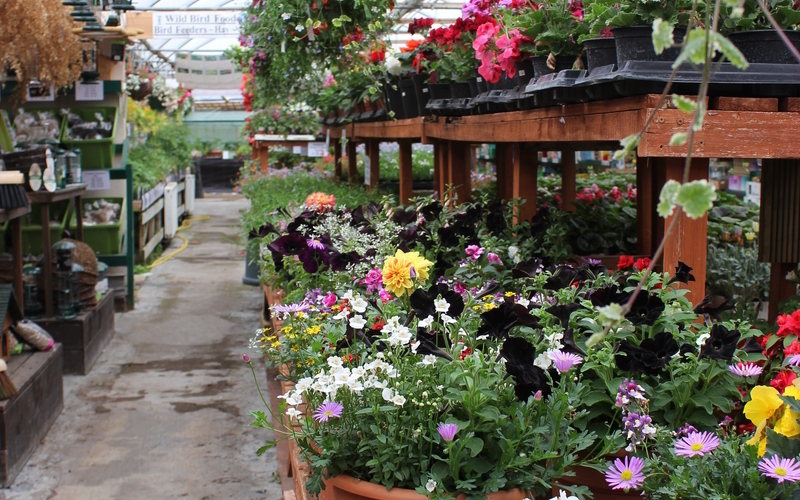 Adrian, our nursery manager, grows an enviable range of basket and container plants for spring, summer and autumn planting.